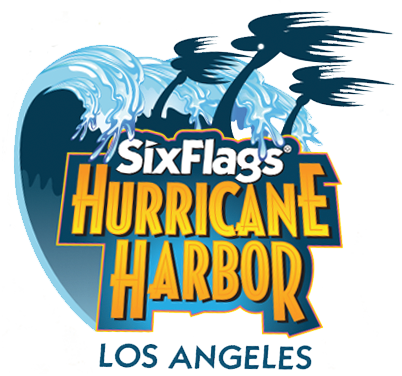 Six Flags Hurricane Harbor, located next to Six Flags Magic Mountain, is a 25-acre water park set amidst the fringes of a tropical jungle where you pass through the entry portal and are swept into the lost lagoons of a forgotten world. Pirate treasures, playful sea creatures, ancient ruins and tribal artifacts await discovery on the shores of this tropical paradise. 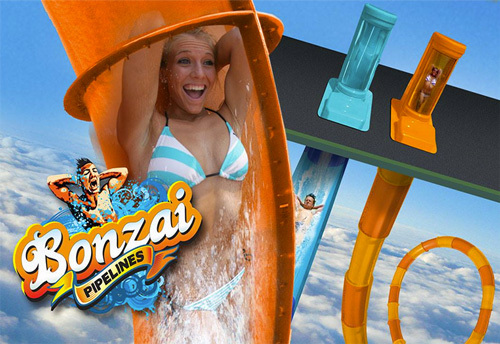 The attraction lineup also includes Bonzai Pipelines, delivering free-fall excitement when the floor drops out from side-by-side launching capsules. Plus... Tornado, a six-story funnel of fun; Lizard Lagoon, a huge pool for teen and adult activities; Reptile Ridge high-speed body slide complex; Bamboo Racer, an exciting 45-foot tall, six lane racing attraction; Paradise Pavilion, a catering site for company and group events, and much more. 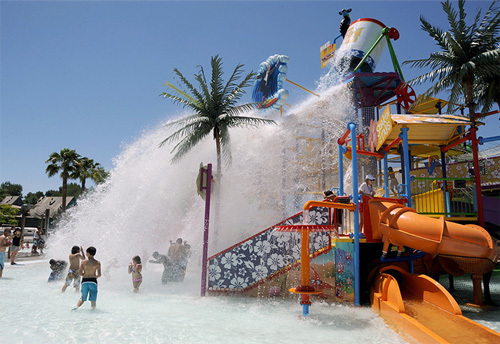 Splash Island, designed especially for kids, boasts water slides, rain curtains and squirting effects to keep everyone cool in the hot California sun. 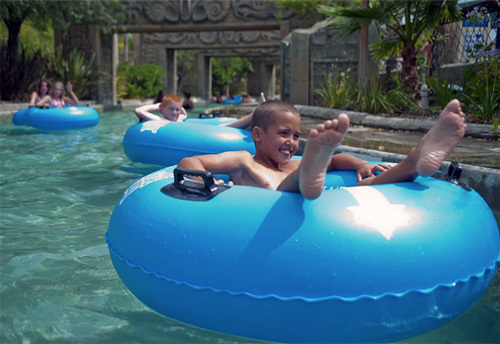 To round out the water park experience, relax in the Forgotten Sea Wave Pool and enjoy one of our Dive-In movies. 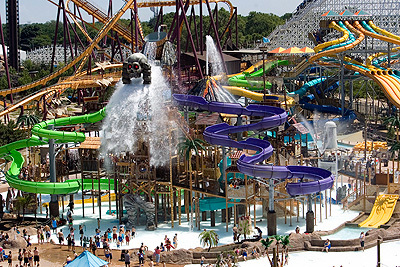 Six Flags Hurricane Harbor opens for the 2019 season on Sunday, May 19. Valid for one General Admission (3 years and over). Valid any one regular operating day during the 2019 season. Operating hours are subject to change without notice. Valencia, CA.